installations according to your needs! Tip: CineGrey 5D is a superior choice over traditional white or grey screen options, perfect for low lumens output projectors! All of Elite's products are warranted by its' industry, surpassing 2-year warranty. Ask about Elite’s 3-year ENR-G enhanced warranty. 135-inch Diagonal, 72.0-inch H x 119.0-inch W Viewing Size, 16:9 HD Format Aspect Ratio, Overall Assembled Size: 72.0-inch H x 119.0-inch W.
WraithVeil, 2.2 Gain. 4K Ultra HD,Active 3D, and HDR ready Projection Ready. 160 degree wide viewing angle, textured PVC surface, rear projection screen material. Mildew resistant, and easy to clean with soap and water. 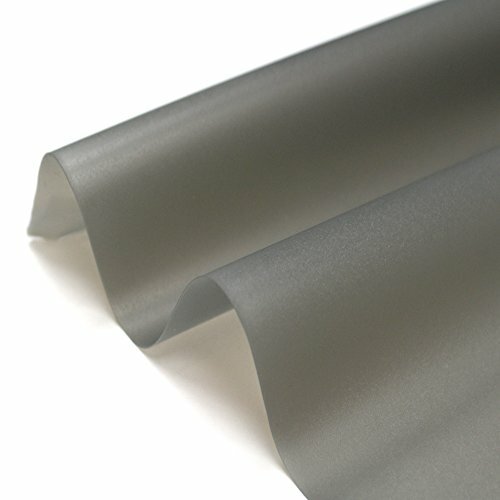 This Raw, Pre-Cut Cloth Projector Screen Material is Perfect for Custom, Home Theater, and Budget-Friendly Applications. The Versatile Do-it-yourself Rear Projection Screen Material Comes Shipped in a Roll, Standard to Ensure a Wrinkle-Free Surface. The Designer Cut Series is Designed to be a Versatile Option for the Inspired Consumer. Using the Same High-End, Industry Grade Projection Materials from Elite Screens Products, the Designer Cut Series Allows Consumers to Apply the Projection Screen to be Displayed Anywhere.